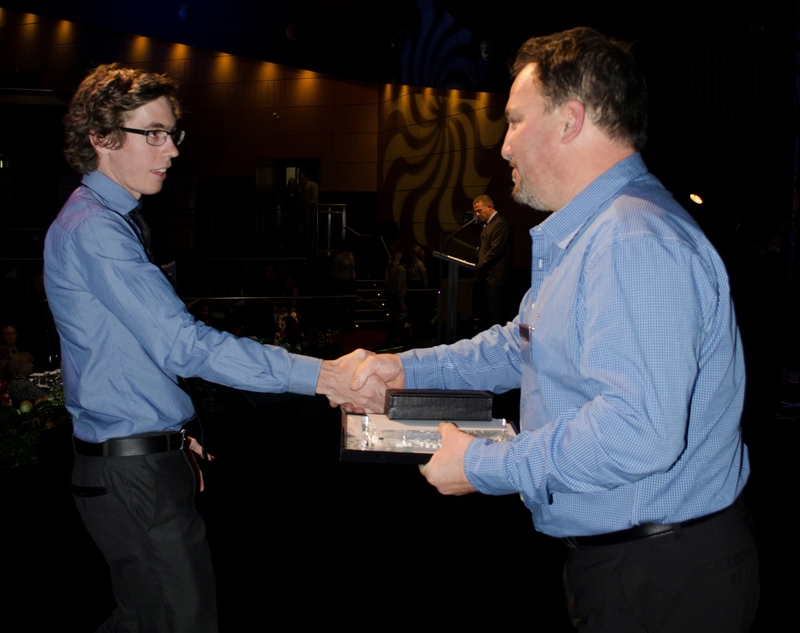 Capital S.M.A.R.T Operations Manager NSW, Trifon Vais, has presented the Student Excellence in Engineering Award at the 2014 annual gala dinner at the NSW TAFE Western Sydney Institute.s most outstanding students across 20 categories, nominated by their teachers. The Student Excellent Awards are a celebration of both academic achievement and personal accomplishments of the highest performing students. S.M.A.R.T supports the Institute’s learning programs and a number of S.M.A.R.T employees are students at the Western Sydney Institute. More than 140,000 students enrol annually in the Institute’s nationally recognised qualifications and customised courses, which range from Statements of Attainment through to Advance Diplomas, Graduate Certificates and Degree programs. Capital S.M.A.R.T is committed to training for all its employees, both upon commencement of work and on an ongoing basis.